David Duran-Escobedo, a 35-year-old Latino male, died Wednesday, Dec. 31, after being shot in South Park, according to Los Angeles County coroner's records. Jesus Ebiliardo Vazquez, a 41-year-old Latino male, died Monday, Dec. 29, after being shot in Exposition Park, according to Los Angeles County coroner's records. Across street from: 943 82nd St.
Isiah Willis Stinson, a 24-year-old black male, died Saturday, Dec. 27, after being shot in Vermont Knolls, according to Los Angeles County coroner's records. Maurice Vershawn Reliford, a 26-year-old black male, died Saturday, Dec. 27, after being shot in Vermont Vista, according to Los Angeles County coroner's records. Terry Ray Maiden, a 35-year-old black man, died Tuesday, Dec. 23, after he was shot 10 days earlier in the 2100 block of West 54th Street in Vermont Square, according to Los Angeles County coroner’s records. About 9:30 p.m. on Dec. 13, people were gathered at a private motorcycle club event when a man got into an argument with several others, said LAPD Det. Chris Barling. The man left, then came back and opened fire, wounding three people, including Maiden, who were standing near the entrance to the gathering. Maiden was pronounced dead at 12:30 a.m. on Dec. 23 at a hospital, said Ed Winter, assistant chief of investigations for the coroner’s office. The other two people are expected to survive, Barling said. Antonia Maria Yager, an 86-year-old white woman, was found dead Monday, Dec. 22, in the 100 block of North Beachwood Drive in Windsor Square, according to Los Angeles County coroner’s records. Yager, who lived alone, was found about 7 p.m. in her bedroom with stab wounds, police said. A man who helped care for her many cats made the discovery. She was pronounced dead at the scene at 7:20 p.m., according to coroner’s records. Police have not yet determined a motive in the killing, but have not ruled out the possibility that she was the victim of a home-invasion robbery or burglary. Maria Elena Rivas-Lomeli, a 62-year-old Latina, was fatally stabbed Monday, Dec. 22, in the 1400 block of West Adams Boulevard in Adams-Normandie, according to police and Los Angeles County coroner’s records. Rivas-Lomeli had just purchased groceries from a nearby Ralphs supermarket and was walking home about 6:30 p.m. when a person attacked her from behind and stabbed her, police said. LAPD detectives said the supermarket’s security camera video shows that Rivas paid for her groceries with a large wallet. The purse and the wallet were missing after the attack, police said. Rivas-Lomeli was taken to a hospital, where she was pronounced dead at 7:29 p.m., according to coroner’s records. Though the attack happened at rush hour, no witnesses have come forward, police said. Edgar Adolfo Barrientos, a 37-year-old Latino, was fatally stabbed Sunday, Dec. 21, near Beachy Avenue and Tonopah Street in Arleta, according to Los Angeles County coroner’s records. About 4 a.m., people in the area reported a disturbance, said Lt. Paul Vernon of the Los Angeles Police Department. Two residents went out to investigate and discovered another neighbor riding in the car with the two other men, police said. When the residents confronted the car’s occupants, the driver began stabbing Barrientos with a knife while the other two people in the car assisted in the attack, police said. Barrientos was taken to a hospital where he was pronounced dead at 4:40 a.m., according to coroner’s records. Rudy Hendley, a 35-year-old black man, was shot and killed Saturday, Dec. 20, in the 1900 block of East 110th Street in Watts, according to Los Angeles County coroner’s records. Shortly after midnight, police received a call of shots fired, said LAPD Det. Deana Stark. 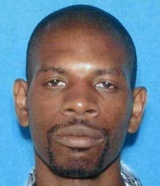 Hendley was found with gunshot wounds on a sidewalk in front of a market, Stark said. Detectives believe that a person walked up to Hendley and shot him. He was taken to a hospital, where he was pronounced dead at 12:38 a.m., according to coroner’s records. “We’re really trying to sort out what the motive might have been,” Stark said. William Dean VanHorecbeek Jr., a 24-year-old Latino, was shot and killed Saturday, Dec. 20, in the 5900 block of South Broadway in Florence, according to Los Angeles County coroner’s records. VanHorecbeek was picking up his vehicle at a repair shop about 1:50 p.m. when a gunman approached and fired several shots, said LAPD Det. Richard Arciniega. VanHorecbeek was pronounced dead at 2:04 p.m. at the scene, according to coroner’s records. In an online obituary, VanHorecbeek, a father, was described as an avid Oakland Raiders fan and a lover of fast cars, soccer and video games. 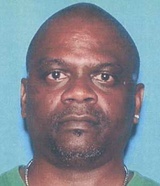 Anyone with information is asked to call Newton Division Homicide at (323) 846-6556. Those who wish to remain anonymous can call Crime Stoppers at (800) 222-8477. Xavier Martinez, a 16-year-old Latino, died Saturday, Dec. 20, after he was shot in the 12400 block of Washington Place in Mar Vista, according to Los Angeles County coroner’s records. Shortly before 11:30 a.m. on Dec. 19, Martinez was standing outside of an apartment complex when a gunman walked up and opened fire, according to a news release from the Los Angeles Police Department. Police set up a perimeter in the area but were unable to find the gunman. Witnesses were "uncooperative with investigators," Sgt. James Mankey told CBS-LA. Martinez was taken to a hospital, where he was pronounced dead at 9:20 a.m., on Dec. 20, said Ed Winter, assistant chief of investigations for the coroner’s office.